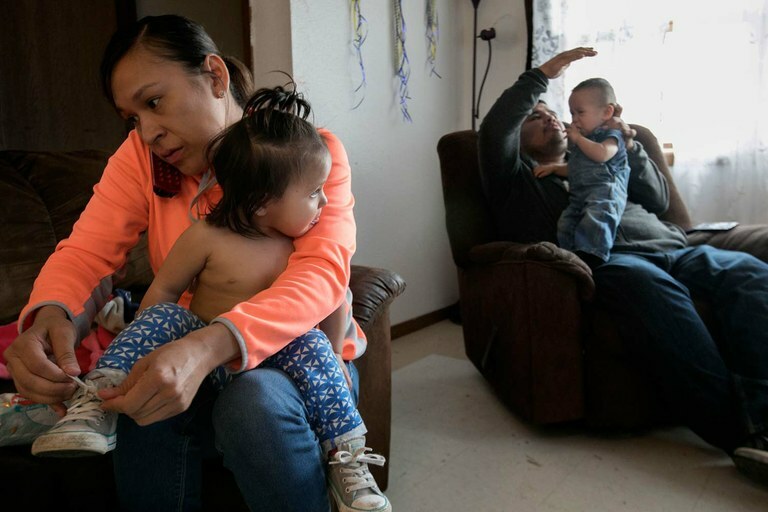 Nowhere has the federal government’s failure to meet its treaty responsibilities to American Indians and Alaskan Natives caused more human suffering than in its failure to provide adequate health care. American Indians and Alaskan Natives are the original peoples of this country. When they ceded their lands by treaty to European colonists in the eighteenth and nineteenth centuries, they received certain guarantees in exchange, including the promise that the U.S. would provide them and their descendants with education and health care. During the Obama administration, Congress took a major step toward remedying the long-standing catastrophe that was the American Indian and Alaska Native healthcare system. The Affordable Care Act of 2010 gave states the option of expanding Medicaid to include all adults ages 19 to 64 who met income guidelines, and promised to pick up 100 percent of the tab for the first three years, phasing down to 90 percent in 2020. Thirty-two states, including the District of Columbia, took up the offer, and Indian Country began to see improved health services and outcomes. But now the Trump administration’s push to repeal and replace the Affordable Care Act (aka Obamacare) puts that at risk. Both the health care bill that the House passed in May and the bills the Senate refused to pass in late July would cut billions from Medicaid funding, undo Medicaid expansion, and possibly cap Medicaid payments for services to individuals. In the legislation introduced by Sens. Lindsey Graham, R-S.C., and Bill Cassidy, R-La., on Sept. 12, federal Medicaid and health insurance subsidy dollars would be given as a lump sum to states, which would have wide discretion in how they were spent. Nowhere would this be more devastating than in Indian Country. Medicaid started in 1965 as part of President Lyndon Johnson’s War on Poverty. It paid for health care for low-income kids and their parents, pregnant women and people with disabilities, as well as providing long-term care for indigent elderly people. But never before had it covered adults who did not have young children. In states that expanded Medicaid after 2010, American Indians and Alaska Natives were eligible for the program. In Medicaid expansion states, from Alaska to Maine, the Affordable Care Act has meant that the Indian Health Service, which provides care to 2.2 million of the nation’s 5.3 million American Indians and Alaska Natives, has been able to provide preventive services. Those include screenings for breast and colon cancer, never before available to non-elderly adult patients. Now IHS can provide those services and get reimbursed by Medicaid, instead of having the cost of the services come out of IHS’s grossly inadequate budget. Jean and Donald Bear, who live on the Fort Belknap Indian Reservation in central Montana, dress their twins for the day. When Jean Bear learned she was having twins doctors referred her to Billings Hospital, six hours away. She signed up for Medicaid, which covered the cost of travel, lodging and prenatal care. In Montana, an additional 71,000 people were enrolled in the healthcare system under the Affordable Care Act, said Sen. Jon Tester, D-Mont. ; 8,000 of them are Native Americans. In New Mexico, 132,000 Native Americans are enrolled in Medicaid, according to Democrat Sen. Tom Udall. In Alaska, Republican Sen. Lisa Murkowski reported the number of uninsured people among the Alaska Native population fell from 30 percent in 2015 to about 23 percent in 2016 as a result of Medicaid expansion. Nationwide last year, 677,811 of IHS patients were covered by Medicaid – more than 25 percent. In 2016, IHS “collected over $659 million in reimbursements for services provided by federal government facilities and programs to IHS patients who are also enrolled in Medicaid. This comprised over two-thirds of total third-party reimbursements to IHS that year,” according to an IHS spokesperson. Congress funds IHS at the rate of $3,688 per person per year (the national average for spending on private insurance is $9,523 per year). Still, IHS now provides services far beyond the limited “life and limb” care the agency could offer before the ACA. “Life and limb” means that patients could not get health care until they were in imminent danger of losing their lives or their limbs. “Life and limb” meant a lot of people died of diseases such as breast and colon cancer that could have been cured if they had been treated before they became life-threatening. The increase in patients with Medicaid coverage allowed IHS to approve payment to other medical facilities for services such as “inpatient and outpatient care, routine emergency ambulatory care, transportation, specialty care services, such as mammograms and colonoscopies, diabetes screenings and vaccinations, and medical support services including nutrition education, diagnostic imaging and even physical therapy according to IHS. Huge disparities still exist when comparing the health of Native American people and the rest of the population. According to the U.S. Department of Health and Human Services’ Office of Minority Health, American Indian and Alaska Native adults are 2.4 times as likely as white adults to be diagnosed with diabetes and 2.7 times more likely to be diagnosed with end-stage renal failure than non-Hispanic whites. In 2007-2009, the death rate from diabetes for American Indian and Alaska Native populations was 177 percent greater than that for the population as a whole. It was 450 percent greater for tuberculosis and 368 percent greater for chronic liver disease and cirrhosis, according to the IHS. The infant mortality rate was 26 percent higher than for the population as a whole. But the Affordable Care Act, and Medicaid expansion have moved the nation toward a more equitable distribution of medical resources and better access to care for American Indian and Alaska Native people. However, the reprieve may be short-lived as President Donald Trump continues to press for a repeal of the Affordable Care Act. Absent a repeal, the president has said he would “let Obamacare fail,” a promise that may be presaged by the administration’s unwillingness to commit beyond August to pay the federal healthcare subsidies for low-income people who buy their insurance in the marketplace. Repealing Obamacare may be just another campaign promise in the White House. But in Indian Country, it is a life or death issue. Tanya H. Lee is a freelance journalist who has been writing about issues of importance to the Native American community for more than 20 years.